The diseases that women can experience can be sneaky — their symptoms are often hard to distinguish from the pain they get before a period. But you can get the upper hand if you visit a doctor as soon as you notice certain worrying signs which you should learn to recognize. For example, people who are diagnosed with breast cancer at an early stage survive in more than 90% of cases. We at Natural Herbal Medicine decided to tell you about those symptoms which can indicate that you might have a serious disease in the future. What it means: increased urinating can be a sign of something more than just problems with your kidneys or urinary tract. It can point to a hormonal imbalance or indicate that there is something wrong with the vaginal microflora. And if you urinate often and feel very thirsty, it may be a sign of diabetes. How to recognize there’s a problem: sometimes it might seem to you that you visit the bathroom too often, when actually you don’t. It’s considered normal to visit the bathroom from 4 to 10 times a day if you drink the usual amount of water. If you notice that you urinate more often, see a general practitioner or a urologist. What it means: don’t be too happy if you’ve unexpectedly lost a few pounds in a short period of time. Sometimes, this can be a symptom of such things as Crohn’s disease, type 2 diabetes, or cancer. In any case, this symptom means that there is definitely something wrong with the body. How to recognize there’s a problem: if you’ve lost 10-15 pounds in the past 6-12 months, and you didn’t do any sports or change your diet, see a doctor. What it means: hirsutism or excessive body hair means that there are too many male hormones in the body. The changes to a person’s appearance are not the worst part of this — this condition can lead to infertility, metabolism disorder, or even an increase in the risk of having breast cancer and endometrial diseases. How to recognize there’s a problem: don’t start to panic straightaway; women often think that almost all body hair is excessive. See this chart first. It will tell you if you need to see an endocrinologist. What it means: women often notice blood after they have the menopause. This blood can be a sign of uterine cancer, cervicitis, myoma, and other dangerous pathological processes. How to recognize there’s a problem: women who take some substitution hormone therapy can experience something that looks like menstruation for about two years after the menopause — this is normal. In all other cases, you should consult a doctor. This is especially dangerous if it has been a year since your last period and then what looks like menstruation starts again as it used to. What it means: the first signs of breast cancer can be very hard to notice. When it comes to pain in the breasts and the lymph nodes, it can already be too late. What it means: your body might be experiencing some kind of inflammatory process or infection. There can be a lot of reasons for this, and you should consult a doctor as soon as you notice that there is something wrong. How to recognize there’s a problem: excretions should not be green or have an unpleasant smell. It’s normal if you have some bloody excretions in between periods (roughly 2 weeks before the next period). What it means: The reasons can be both very simple (a hereditary condition, an adjustment to the climate, or working out too much in the gym) and very serious (a uterine myoma, endometriosis thyroid dysfunction). Even if you’re convinced that it’s just hereditary, you should see a doctor: heavy menstruations can lead to anemia. 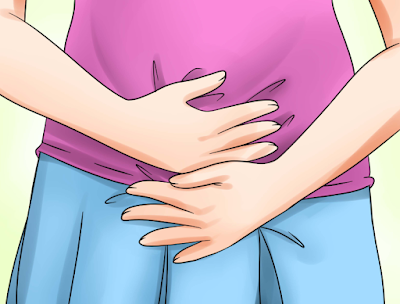 How to recognize there’s something wrong: it’s hard to understand if your period is heavy or not, but usually, if the period lasts longer than 7 days, this is a worrying sign, especially if the color is bright red. A normal period cycle is from 21 to 35 days long, and the most important thing is that is should be stable. Don’t be shy about seeing a gynecologist or a mammologist (actually, it’s recommended that you see them 1-2 times a year) and discussing everything you’re worried about with them. There are no awkward questions when it comes to health.